The average price for this game in the past 6 months is $17.07. The game first became 50% off on Jul 26, 2017 at Green Man Gaming. Lowest historic price was $9 on Jun 7, 2018 at GamersGate. New historic low on PC Steam version of Dead Rising 4. The port wasn't as well received as previous incarnation but if you enjoy the series this is a good price for gratuitous zombie killing action. Reviews on the PC port of Dead Rising 4 is certainly not as positive as older titles in the series, but if you're a fan of the franchise the game is now at a historic new low price thanks to 2017's Halloween Sale at GamersGate. Steam key. Dead Rising 4 hits new low price of $19.20 in a GMG Dead Rising Franchise sale. The Deluxe is also available but honestly we think Standard is good enough given the game's so-so showing. Steam key. A $60 title at its March 2017 release, now Dead Rising 4 is only $25.50 as a flash deal in the GMG Summer Sale. Discount only valid for a few more hours when it will go back to a $30 purchase. Historic low by about $5 and includes a random "Mystery Game" bonus. Looks like 32% off just isn't going to cut it, as GamersGate has top out GMG with an even stronger deal on Dead Rising 4, releasing next Tuesday on the PC. Now 40% off, you can pick up the game for $36 on the Standard Edition, or the Deluxe with Season Pass for $52. The average price for this game in the past 6 months is $32.70. The game first became 50% off on Sep 6, 2017 at Green Man Gaming. Lowest historic price was $19.99 on Apr 13, 2019 at Microsoft. The average price for this game in the past 6 months is $26.24. The game first became 50% off on Jan 16, 2019 at Fanatical. Lowest historic price was $24.99 on Jan 16, 2019 at Fanatical. The average price for this game in the past 6 months is $5.30. The game first became 50% off on Jan 18, 2013 at Green Man Gaming. Lowest historic price was $3.95 on Nov 28, 2017 at GamersGate. The average price for this game in the past 6 months is $5.30. The game first became 50% off on Nov 25, 2010 at GoGamer. Lowest historic price was $3.94 on Nov 28, 2017 at GamersGate. Dead Rising 2 only $4 after coupon at GMG. Great price if an over the top Zombie killing spree is your thing. Game activates on Steam. If any of you love/hate steam. When you purchase this game from GameFly they will give you a code. IT IS NOT for steam. tl;dr You can't redeem this game on steam. The average price for this game in the past 6 months is $5.15. The game first became 50% off on Jul 21, 2017 at Green Man Gaming. Lowest historic price was $4.75 on Dec 18, 2018 at Green Man Gaming. Capcom's 2016 PC port of the original Dead Rising game is probably one of our favorite title in the open world beat 'em up genre. Join Frank and random assortments of weapon and have a good time at the local shopping mall - a definitive dying locale in 2018. Steam key, new historic low price. Dead Rising returns to historic low price of $6.40. This is the cheapest the game has ever gotten since the remastered PC game has been released since September 2016. New low price on the excellent Dead Rising PC port, which finally grace the Master Race platform last September. Now that it's been a year, the game is near 70% off territory. Steam key. 90% positive rating on Steam. New historic low price on the Dead Rising PC port. While Dead Rising 4 port (and the game itself) was massively disappointing, the original title is fairing well from fans of the series since its release last December. Steam key. Dead Rising for Steam is now only $14.57 - a new low on the took-forever-to-release PC port. If 27% off doesn't seem amazing to you, check back in a few months time during Winter Sale and you may see 33%+ discounts. The average price for this game in the past 6 months is $7.98. The game first became 50% off on Apr 11, 2015 at GamersGate. Lowest historic price was $5.92 on Nov 28, 2017 at GamersGate. GamersGate 12th Anniversary Sale continues with Dead Rising 3 at all time low of $6.90. This beats out the previous low that we've spotted during Winter Sale. New historic low price on Dead Rising 3 Apocalypse Edition at Steam Store during its Winter Sale. Beats out previous low (way back 7 months ago) by a healthy 25%. At $9 its a good pick up for fans of the series. Recent reviews are much more favorable now that the game has been updated. New historic low price on Dead Rising 3 Apocalypse Edition. Even cheaper than Steam's Summer Sale. Probably one of the top pick during GMG's Summer Sale Day 1 batch. GameBillet has Dead Rising 3 for 60% off. The game hasn't gotten as much love since released from other digital retailers, this is the first significant price drop we've seen and is current historic low. New low on Dead Rising 3: Apocalypse Edition for the PC. 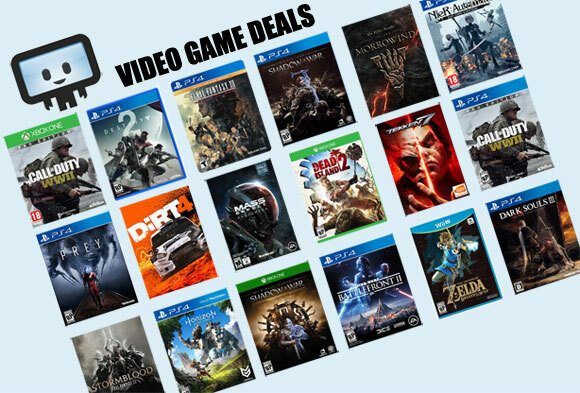 Today GMG dropped the price to $29 after coupon, or 41% off the usual $49.99 MSRP. Not bad for a September 5th release. The average price for this game in the past 6 months is $6.09. The game first became 50% off on Jul 19, 2018 at Green Man Gaming. Lowest historic price was $5.60 on Oct 25, 2018 at Green Man Gaming.